Drop off day at camp is full of mixed emotions. Most campers (and parents) are excited but nervous at the same time. The information below will help you navigate registration. Arrival times are staggered according to hut assignment. We kindly ask that you respect our instructions not to arrive more than 15 minutes before your scheduled check-in time. You will spend less time waiting in the hot parking lot if you adhere to your assigned time. We are also able to spend more time with each camper if arrival times are staggered. The earliest check-in slot is 2:00, we are not prepared to receive campers prior to 2:00. Check-in for Super Chico week will begin at 3:30. When you arrive, your luggage will be pulled from your car and transported to your child's cabin. 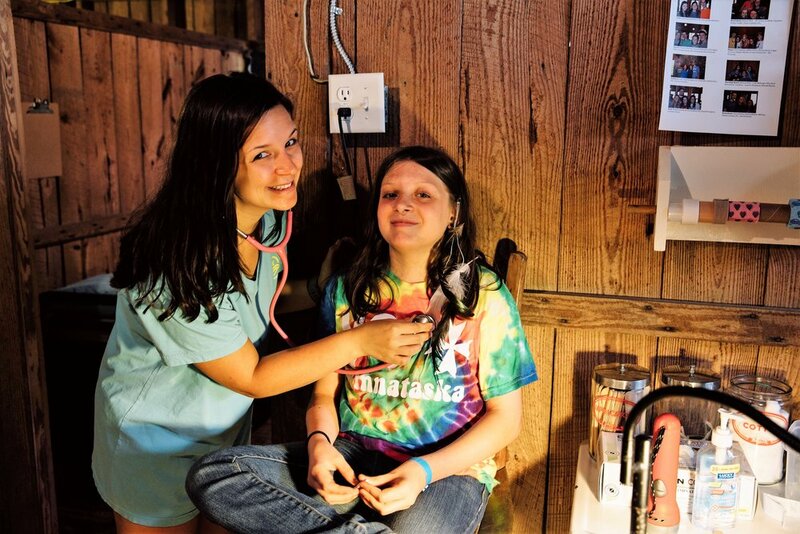 All campers must have a health check and turn in medications to the camp nurses. 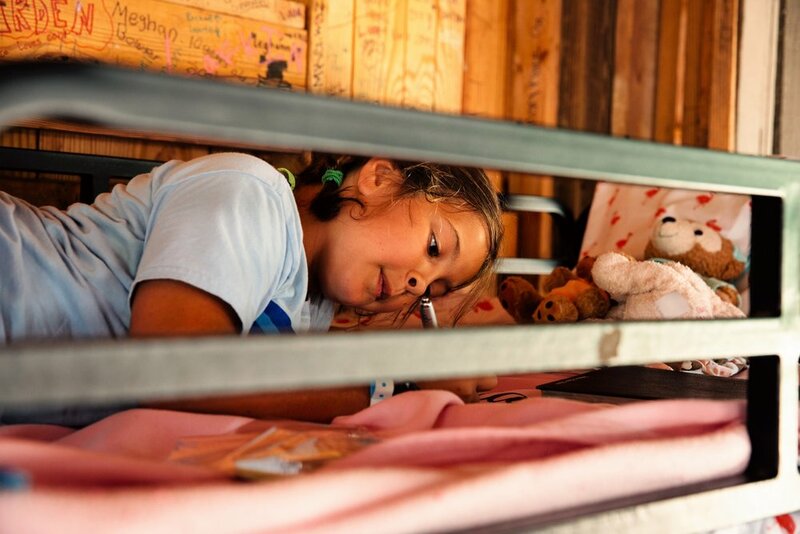 Parents will meet counselors at their child's cabin, and can help their camper get settled in the cabin. Campers randomly choose a bed in the cabin. This is the quickest and fairest way to get all campers settled in a bed. Saving beds is not allowed. Parents can visit the Camp Store in Strickland Lodge to purchase care packages for their camper. Canteen is also open for drinks and snacks. Parents can drop off mail already addressed to their camper if they wish to do so. Camp staff members are available to answer questions or assist parents.